To Dog With Love: Wordless Wednesday: Cosmo Havanese says bring on the gladiators! 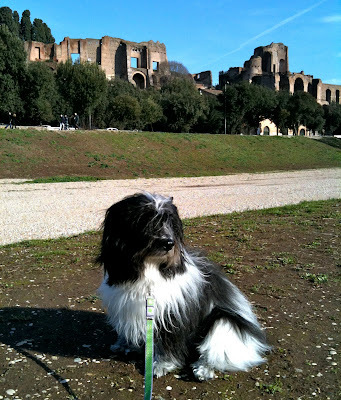 Wordless Wednesday: Cosmo Havanese says bring on the gladiators! Cosmo Havanese channels his inner gladiator at the Circus Maximus in Rome. What do you think he was really doing? Close up... Is Cosmo imagining the life of a dog/gladiator 2,000 years ago? 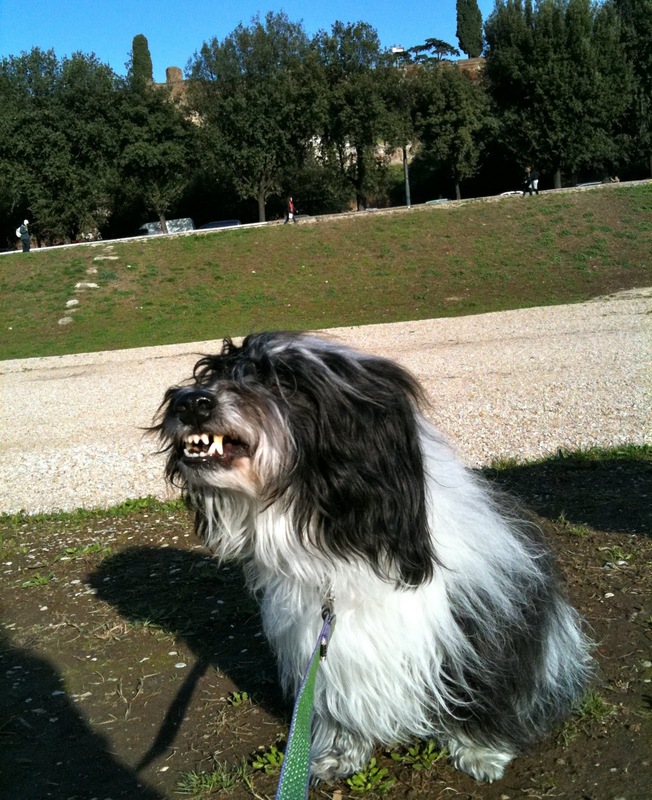 Now a park, once upon a time the Circus Maximus was THE place for chariot racing and the occasional gladiator fight. Cosmo takes a moment to soak up the significance. So what WAS Cosmo doing in his gladiator pose?!! If it's anything like the colosseum was many years ago, there's probably a cat or two involved! I finks himz wuz sneezin. Our guess is that Cosmo was just about to sneeze. P.S. We're trying VERY hard not to be envious of your Italian adventure, but it isn't working. Hee hee! We're not telling.... yet! All great guesses! 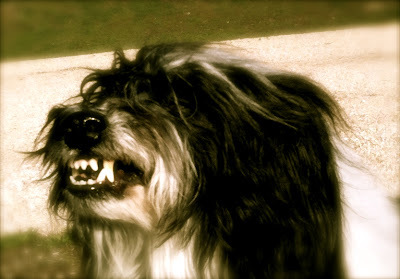 And yes, if you know Cosmo, you know he's not so ferocious! @Carrie, we'll check out the hop! @Sagechronicles, Cosmo does enjoy a good chase! @BorisKitty, thank you mai pal! @Roxanne, next time come on along with us!! Looks like doggie sneezes to me! He was trying to figure out how to get that treat without moving, because Mom said, Stay! Practicing for The Return of the Gladiators! I think Cosmo is thinking about those tigers and lions they might throw into the gladiator pit with him. He's pumping himself up! Wow you are a world traveller. I've only been to the farthest dog park! Well. Maybe he was laughing at a funny joke. Whatever it was, we're glad he was doin' it in Italy. And that we got to enjoy the moment with this picture. Mostly, we're glad we met! Maybe he wants to show how a pet or a gladiator looks like and brave enough for every battle. "louis vuitton sunglasses for women"